LOS ANGELES—Nino Rota's score for Francis Ford Coppola's 1972 classic The Godfather will be performed "live to picture," with a 61-piece orchestra, on Saturday at LA Live's Nokia Theatre in downtown L.A.
Rota's music, including his iconic "Godfather Waltz" and "Love Theme from The Godfather" (that went on to vocal fame as "Speak Softly Love"), is perhaps the best-known of Rota's more than 150 original film scores. The Italian composer, who died in 1979, won a Grammy, BAFTA and Golden Globe for The Godfather. 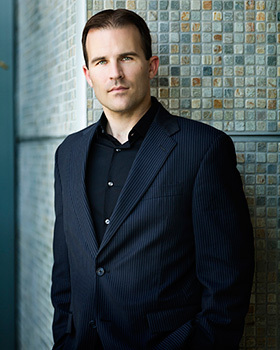 Says Justin Freer, who helped restore the score and will conduct the Hollywood Studio Symphony: "It's one of the most well-made films, and film scores, ever created. I felt that, beyond Nino Rota's masterful score, there were some really fun opportunities with what Carmine Coppola composed for much of the wedding music, and the jazz that Pete King arranged that takes us in and out of Las Vegas – a number of different styles, matched to one of the most admired movies ever made." Francis Ford Coppola engaged Rota (the legendary composer of Romeo and Juliet and numerous Fellini movies including La Dolce Vita and 8 1/2) to compose the dramatic score for his adaptation of the Mario Puzo novel, but asked his father, Carmine Coppola, to contribute the "source" music, including much of the wedding music heard in the first half-hour of the film. 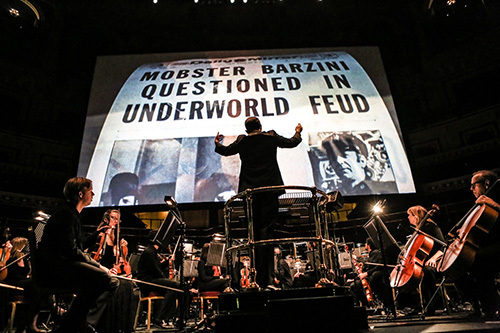 This will be the third time Freer has performed The Godfather score live. It debuted in December at London's Royal Albert Hall and was done earlier this month with the San Francisco Symphony, all under the auspices of his CineConcerts company, which launched last year with similar "live to picture" performances of the music of Gladiator. According to Freer, "much of the Nino Rota material was intact" in the Paramount music library, some in fully orchestrated form, some "reduced scores" that required restoration. "In the case of Carmine Coppola's music, the vast majority of it was not intact. Very late in the process, Francis Ford Coppola was very sweet and supportive of opening his father's archives to us. That allowed me to cross-reference much of what I had already transcribed." Freer noted that "one of the fun challenges of all this is trying to ascertain what changes were made on the scoring stage, because oftentimes the album is wildly different than what you see on the score." Rota's longtime colleague Carlo Savina conducted the original soundtrack in 1972. For Saturday's concert, the orchestra will play the entire score live while the film itself unspools at the Nokia. Freer says they even have a separate vocal track for Al Martino's famous performance of "I Have But One Heart," which the orchestra will accompany during scenes of Connie's wedding. Guitar, mandolin and accordion will be necessary for some of the authentic Sicilian folk music. Director Francis Ford Coppola "was supportive from the beginning," Freer added. "It was very important to him that the film and score were preserved as closely as possible to the final version from 1972. We've gone to great efforts to make that happen." Pianist Mike Lang, who played on the Godfather II sessions and will play in the orchestra on Saturday, recalled: "My impression of Rota and his music was kind of what I thought it would be like to work for Verdi or even Puccini. The passion of his music, its glorious melodies and the absolute power that it had was, for me, mesmerizing. I don't think I had ever felt like I did on that recording. Also, in contrast, Rota was a diminutive presence, quietly walking around the stage, listening, and only occasionally asking Carmine [who conducted] for a detail here and there. It was an interesting contrast to Maestro Coppola, who was a larger-than-life presence." Rota probably would have won the Academy Award for his Godfather score if not for a controversy that arose during the Oscar campaign. The score was nominated in February 1973, but the nomination was withdrawn when the Academy music branch was informed that Rota's now-famous love theme actually originated in an obscure 1958 Italian film, Fortunella, albeit in a very different arrangement. The Academy effectively made it up to Rota two years later by awarding him, and Carmine Coppola, the Oscar for their score for The Godfather Part II. Added Brady Beaubien, Freer's producing partner: "When you think about certain films, you remember the music as much as the imagery. It's a major part of your emotional memory. In The Godfather, there are so many emotions – the love of family, the tragedy of family, the power of family. Nino Rota's haunting score is the perfect companion to the authenticity portrayed by the actors in response to Coppola's vision." 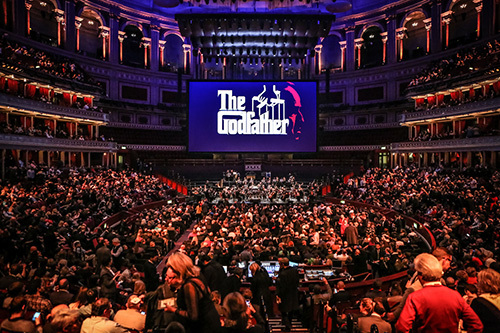 "The Godfather Live" will be performed at the Sydney Opera House Jan. 29–31, with the Chicago Sympony Feb. 3–4, in St. Louis March 27–29, in San Diego April 24, and later in the year in Santiago, Chile and across Europe.